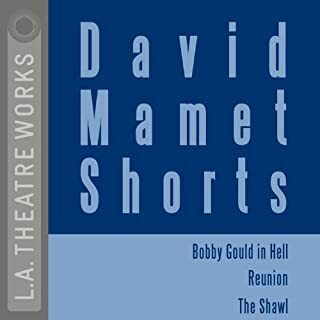 Three one-act plays from David Mamet, one of the master stage writers of our time. A group of low-ranking real-estate salesmen are trying to survive in a cut-throat office culture. But when two of them devise a plot to redress the company's wrongs, the resulting turmoil increases the pressure to unbearable levels. 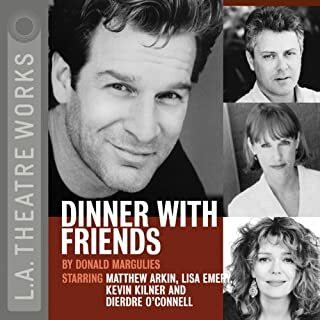 An L.A. Theatre Works full-cast performance. Top notch, dramatic acting in a great story. Fasten your seatbelts for a rapid-fire, sophisticated thrill-ride that propels you through one of the most infamous financial scandals in history! With a spicy blend of humor, pathos and music, the big biz machinations of Kenneth Lay, Jeffrey Skilling and Andy Fastow are laid bare as razzle-dazzle entertainment. Lucy Prebble’s Enron casts a shocking new light on today’s economy and how we got here. In this recent Off-Broadway hit, a group of old friends find themselves at Harlem's Ortiz Funeral Home to mourn the death of a beloved nun from their childhood. As they bounce off of each other with old hurts and the harsh realities of grown-up life, a murder mystery (and a few lives) begins to unravel. Hilarious, raunchy, and ultimately very touching, Stephen Adly Guirgis is a new voice to be celebrated. 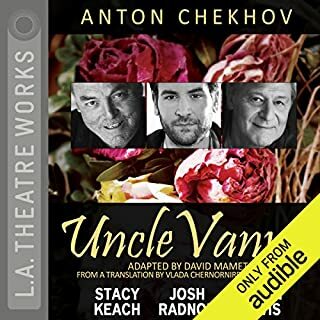 In this unique audio adaptation of Neil Simon’s screenplay, Paula McFadden’s a down-on-her-luck actress who’s forced to take in a new roommate - the eccentric, noisy, and generally unpleasant Eliot Garfield - who also happens to be an actor. As their careers and finances hit new lows, their reluctant partnership threatens to turn into something neither one wants. A well-meaning American diplomat in South Africa tries to pacify his ferociously combative wife and anti-apartheid activist son by being reassigned to The Hague. But peace is hard to come by and, at an elegant New Year's Eve party, a harrowing betrayal is revealed. Judith Ivey recreates her acclaimed performance from the Lincoln Center production in this masterful drama from the author of The Substance of Fire. In Terence Rattigan’s classic drama, an aging schoolmaster at an English secondary school faces the harsh judgments of his students, his fellow teachers, and his vicious and spiteful wife. But can a lone act of kindness from a sympathetic student change his heart? This recording also includes an interview with Michael Darlow, the author of Terence Rattigan: The Man and His Work. 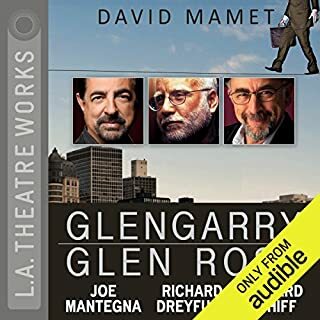 Pulitzer winner Mamet lards on politically incorrect jokes, massive irony, and expletives in this brief courtroom farce. An anti-Semitic attorney (Ed Begley, Jr.) representing a Jewish defendant (Steven Goldstein) seeks to interrupt the trial so that his client can use his chiropractic skill to bring about world peace. Of course, the prosecutor (Gordon Clapp) objects while his disgruntled male lover (Noah Bean) harasses him by cell phone and, later, in person. An overmedicated judge (Fred Willard) more or less presides. Neil Pepe, who directed the 2005 off-Broadway premiere, does the honors for this lively West Coast reading before an appreciative studio audience. The fine but apparently under-rehearsed cast doesn't quite pull off the precise comic timing the play requires for full effect. 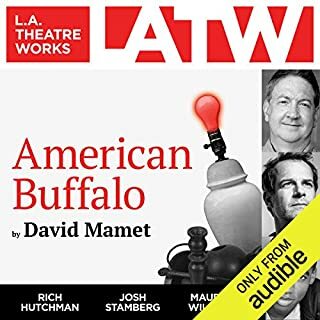 In this outrageous new comedy, playwright Mamet skewers everything from sexuality to the justice system to world peace. In a world where nothing is as it seems, prepare to be offended! Care to Make Love in That Gross Little Space Between Cars? 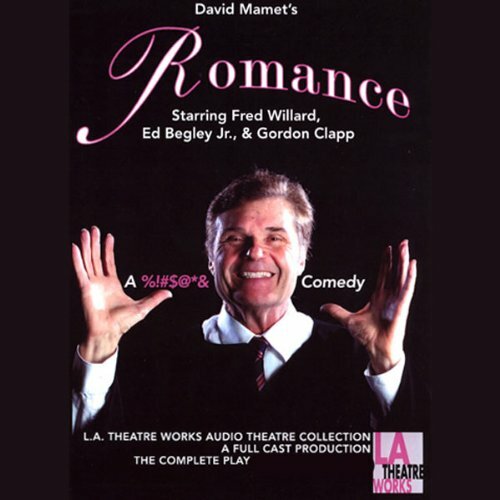 I will say this I laughed lots during Romance and the play is definitely not for the politically correct but I was a bit taken aback that a great dramatist like Mamet would write such a silly and entertaining play with no substance that I could find. 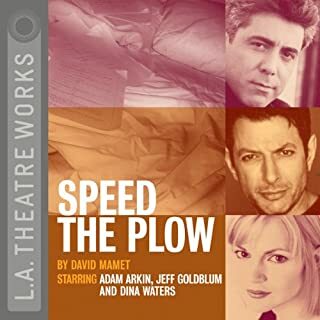 Mamet has written some great comedies (Speed the Plow) but this is one of the only works I can think of that exists solely to be silly and make the audience laugh. The play is bordering on absurdist in ths structure and dialog but I could not really irk out a real theme or point in this work. There is mention of justice, arab/jew/christian relations, and sexuality but I am not sure how Mamet wanted to tie those ends together. But as a whole a real funny (if empty calorie) play. The highlight is Fred Willard (Best in Show) as the judge with a bad case of hay fever.